​This blue maxi is so comfortable and is so easy to just throw on, along with some accessories, whether you’re going to run errands or going to brunch. Maxi dresses are probably one of my favorite summer pieces. 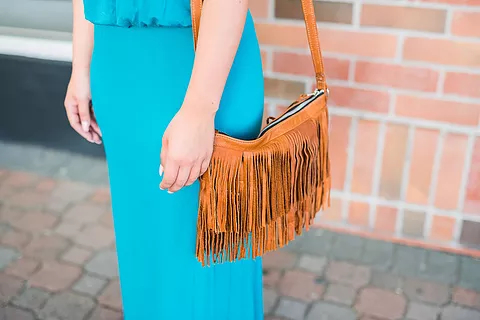 The Banker Camino Brands fringe bag also dresses it up along with the studded Steve Madden sandals.